University Alliance chief executive Maddalaine Ansell is speaking at this year’s Times Higher Education Young Universities Summit in Barcelona. 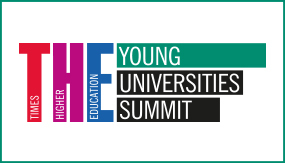 Times Higher Education Young Universities Summit returns for a third year on 5 to 7 April 2016 at Pompeu Fabra University, Barcelona. Examining how universities under 50 years old are rising rapidly in the rankings and displacing other, more established, institutions, this event is a must-attend for those who are leading innovation in higher education today. The summit will also host the launch of the THE 150 Under 50 Rankings 2016. Maddalaine will be speaking on a panel on Wed 6 April on Universities’ commitment to knowledge transfer and social entrepreneurship. This discussion will take during the morning session covering the themes of ‘Research, knowledge transfer and industry collaboration’. Join vice-chancellors, rectors, principals and industry colleagues to explore the theme with speakers from leading universities and multinational corporations, government officials and policymakers. Delegates will address issues such as public funding, research and knowledge transfer, brand importance, digital learning and philanthropy. For more details visit the Summit’s website.